Your conservatory might be one of the most peaceful rooms in your home, designed to be a quiet getaway from the hustle and bustle of the kitchen or living room. Often many families have a conservatory built to ensure they have plenty of room for everyone, or sometimes it’s to bring them closer to their garden and the outdoors. Whatever reason you’ve had a conservatory, we can bet you want to get as much out of it as you can; after all, they are not always a decision that is made spontaneously. One of the best things you can do for your conservatory is to ensure it is always updated with the latest technology or designs; this can ensure you continue to have a practical conservatory! Here is just one of the ways you can achieve this. A Guardian Roof can make a huge difference to your conservatory for a number of different reasons. From style to functionality, you can update the space so it’s a comfortable and appealing room no matter what time of year it is. As conservatories are often associated with the summer seasons, the space does often become a dumping ground or simply just shut off at all other times of the year. By making the necessary changes, you can have a conservatory that remains effective. Traditional conservatory roofs, often made from glass, can have a negative impact on both the temperature and the feel of the room. Exposed to glaring sun, or deafening rain, glass roofs can sometimes be a hindrance to the relaxation you were looking for. By updating the roof specifically, you can provide a solution to the extreme temperatures you often experience when sitting in a conservatory. From suffocating heat to shivering guests, a conservatory is often difficult to get right. 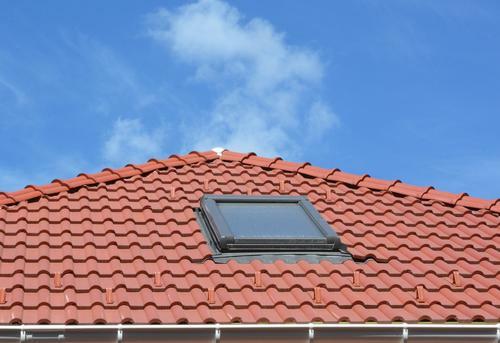 A tiled roof can weather-proof the room, protecting you from the loud noise created by rain and even maintaining a comfortable temperature all year round. With many conservatories only really used in the summer, when we spend as much time as we can outdoors, you have essentially invested in something you can only use for a few months of the year. Opting for a Guardian Roof can transform your conservatory into somewhere you can sit even in the depths of winter. With a conservatory providing vital space for you and your family, it would be a real shame to not get the most out of it. Many conservatories are used for a kitchen extension, second living room or even a children’s playroom; the last thing you need is unbearable conditions, forcing you to close the doors on it. There is a pressure on all of us to be a little friendlier to the environment and look for solutions that can reduce our carbon footprint. A Guardian Roof is incredibly energy efficient, so you can be environmentally-friendly and even save money on your energy bills. Having a thermally efficient conservatory can make a huge difference; the tiled roof is created with insulating materials so you can relax knowing the space is incredibly performance-driven!